In an endeavour to make Andhra Pradesh pollution free, Chief Minister Chandrababu Naidu on Friday called on companies producing electric vehicles to set up a base in the state. 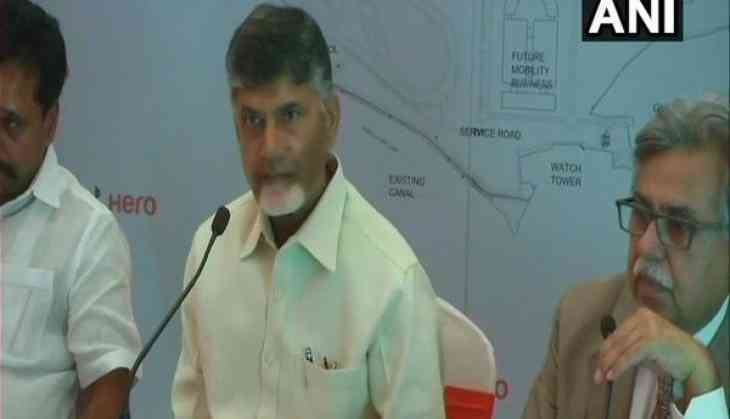 Speaking at the Hero Motor Corp. foundation stone laying ceremony, Naidu said Andhra Pradesh is number one state in terms of skill development and that all the best companies in the world are working with the state government. "Electrical automobile market should be produced here. This is the cluster we are thinking and the hub we want to create. My government aims to make Andhra Pradesh totally pollution free," he said. "Andhra Pradesh is number one in skill development. All the best companies in the world are working with us," he added. The Chief Minister further said that Andhra Pradesh is doing well in the agriculture sector and that his government now is planning to shift focus on industrialisation and development of service sector to generate employment and improve the economy. "In the past four years, Andhra Pradesh, which is an agriculture-based economy, has registered double-digit growth of 10.5 percent. Owing to this, we have focused on industrialisation and development of service sector to generate employment and improve the economy," Naidu said. Andhra Pradesh Chief Minister Chandrababu Naidu vehicle manufacturers state government Chandrababu Naidu chief minister Hero Motors Corp.